Wearable technology is one of the fastest growing spaces in the world. The appeal of wearable technology is part motivation, with goal setting, challenges and social recognition and part insight, with clients looking to obtain more information about their overall physical health. In this article, we will talk about meaningful insight. As a fitness business operator or personal trainer incorporating wearable technology, you'll not only further increase your members’ lifetime value, but educate them on what makes a workout effective (meaning your clients know what the numbers actually mean when they purchase wearable technology). We encourage personal trainers to perform the following tests with their clients to get them acquainted to their wearable tech as well as educate them on heart rate training with wearable technology. Ambient Heart Rate Test: This test will allow your client to see their overall health. This can be done through measuring your clients heart rate on the minute, every minute for five minutes. Your clients will want to repeat this test on a weekly or monthly basis to see how their overall health improves. A Delta Heart Rate Test: This test determines the difference between your clients resting heart rate and standing heart rate. To perform this test, have your client lie horizontally for 2 minutes, capture his/her heart rate and slowly have them stand up. After 2 minutes of standing, your client should measure his/her heart rate again, then measure the different between the two. This difference will allow your client to determine their stress level. A smaller number will mean your client is less stressed. As a fitness business operator or personal trainer incorporating wearable technology, you'll not only further increase your members’ lifetime value, but educate them on what makes a workout effective. Sub Max Heart Rate Test: This test will give your client a better understanding of their current physical condition, as well as provides an estimated maximum heart rate. To find your clients Sub Max Heart Rate, your client will need to step up and down an 8” step, alternating legs at a cadence of 20 steps per minute. After 3 minutes, your client should record their heart rate. You should then add 55 to that number if they are in poor shape. If they are in average shape they will need to add 65 to that number instead, while they should add 75 to that number if they are in excellent shape. The resulting number will be an estimated maximum heart rate. Heart Rate Recovery Test: This test allows you to determine how fast your clients heart rate will drop during the first minute of vigorous physical activity. To test heart rate recovery, you will need to have your client perform vigorous activity for a few minutes and then stop. You should then watch your clients heart rate drop during a 1-minute period – the faster the clients heart rate recover, the fitter the client. These tests will allow your clients to further understand the numbers wearable technology provide, helping them gain a better understanding of the benefits of slow moderate activity as well as HIIT training and the progress of their most important muscle, the heart. Find out more about MYZONE and their special 2 months of FREE licensing for AFS members! 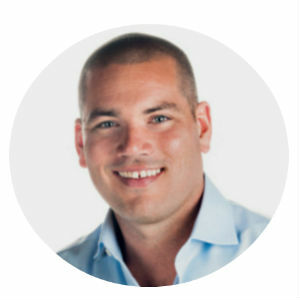 Emmett Williams is the President and co-founder of the global wearable technology brand MYZONE INC - the fitness tracker that rewards effort - a hardware, cloud-ware, and software mix that drives exercise adherence for the end user, and customer engagement metrics for the channel partner.